UPSC Result 2018: Union Public Service Commission (UPSC) has published the final results of the Civil Services Exam (CSE) 2018. Kanishak Kataria is the all-India topper. A total of 759 candidates have been recommended by the Commission for appointment to various central government services like IAS, IPS, IFS, IRS etc. UPSC declared the final results of Civil Services Examination 2018, just 7 days after the interview round is over. The rigorous exam cycle (2018-19) to select the best brains in the country for the top bureaucratic positions started with the UPSC Civil Services Preliminary Exam on June 03, 2018. 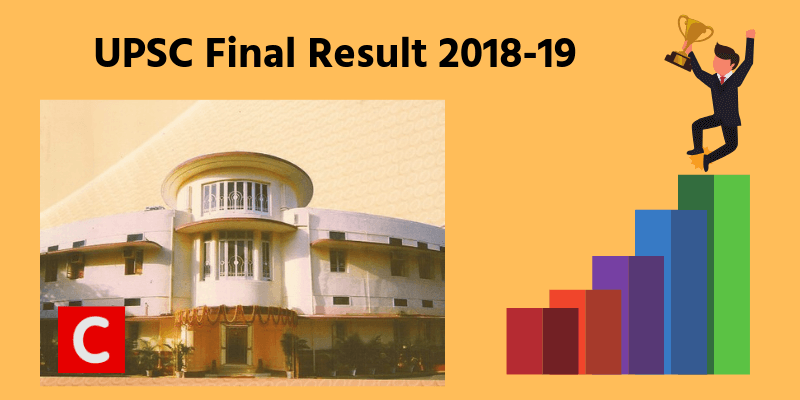 Prelims was followed by the UPSC Main Exam on Sep-Oct 2018. Those who qualified the main exam (written) were asked to appear for the UPSC personality test. UPSC interviews for about 2000 candidates were over by 29th March 2019. The full rank list of UPSC CSE 2018 can be accessed from the link. For PDF download from the official UPSC website, check this link (upsconline.nic.in) or this link (upsc.gov.in). Many Students of ClearIAS topped the UPSC Final Rank List! 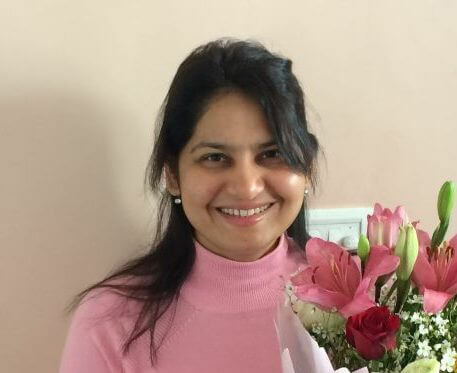 It’s a greatly rewarding experience to see many students of ClearIAS coming out as UPSC Toppers. We have started to receive emails and calls from students who used our study materials and mock exams for Prelims, Mains or Interview and have made it to the final rank list. @Akshat – 2, @Junaid – 3, @ Renjina – Rank 49, @ Jishnu – Rank 132, @ Angel – Rank 623… You made us proud. Thank you. We shall share more details soon. Congratulations to all UPSC toppers! Share your story! ClearIAS.com would like to congratulate all those who successfully cleared the Civil Services Exam. Our best wishes as you begin the journey to serve the nation. We welcome all the toppers to share their story on our platform to inspire future aspirants. Our readers are eagerly waiting to know from the toppers their preparation strategies. That would also help us to improve our platform based on your feedback. UPSC Toppers can share their story, experience, preparation methods, success tips etc in Civil Services Exam Toppers Interview series. Please feel free to connect us on contactus[at]clearias[dot]com highlighting UPSC Interview in the subject line; we shall send the model interview questionnaire and details. Thanks and all the very best in career and life! Be an asset to the nation! Those who missed selection this year – read this! First of all, don’t lose your confidence or self-esteem. There is no big difference between you and those who made it into the final mark list. Being qualified for the UPSC interview itself speaks about your caliber. You are one of the top 2000 candidates out of the 10,00,000 candidates who applied for the exam. Had there been 2000 vacancies, you all would be selected. However, there were only 800 vacancies. And, everyone cannot be selected. You should note that all those who selected this year are not first-timers. Apart from a few, most of them may have achieved their success in their 2nd, 3rd, 4th, 5th, 6th or subsequent attempts. The point here is not to lose focus. Very often only difference between success and failure is one more try. If you have attempts left for this year, start preparing right away – with new vigour. UPSC Prelims 2019 date is June 02, 2019. Adopt ClearIAS strategies to get the extra-edge you need now. Those who don’t have attempt left, realize that UPSC is not the end of life. Whatever experience you gained in the UPSC exam process would have changed your way of thinking. You will never live a mediocre life. Your destination is different. Find it and strive for success there. 40+ ClearIAS Online Mock Tests for UPSC CSE Prelims 2019 is now available to take. ClearIAS Current Affairs Capsules are now available at the ClearIAS Online Store. Techniques to boost your score! Take the most out of these. All the best for UPSC CSE Prelims 2019! Last year, about 10 lakh candidates had applied for the about 800 vacancies in the prestigious UPSC Civil Services Exam. Out of the 812 vacancies for which UPSC conducted the Civil Services Exam (CSE) 2018, 759 candidates are recommended in the first rank list. 53 remaining posts are to be filled from the consolidated reserve list maintained by UPSC based on the ranks in the same exam, which will be published later. Marks of all candidates who gave Prelims, Mains or Interview will be available on the website within 15 days from the date of declaration of result. Ranks are calculated on the basis of total marks scored in UPSC CSE Mains Exam and Personality Test. Know your probable service based on last year trends! If you are confused about the allocation based on your rank/category, please refer our article – ‘Until which rank can an aspirant get into IAS, IPS, IFS etc?‘, which is prepared on the basis of data collected from last 8 years. You may share this link with your friends/toppers via Whatsapp or Facebook. UPSC CSE 2018: 812 vacancies and about 10 lakh applications! The Civil Services Examination (CSE) is conducted by the UPSC annually in three stages – preliminary, mains and interviews. The civil services preliminary examination (objective test) was conducted on June 03 last year. About 10,00,000 candidates had applied for it, but only approximately 4.5 lakh appeared for the examination. Of these, 10000 were declared qualified for the Main examination (written test). The main examination was held in October 2018. The result of the civil services main examination was declared on the Dec 20th 2018. About 2000 candidates were declared qualified for the personality test. Personality tests were held from Feb 11 to March 29. In the consolidated reserve list, UPSC keeps the names of 106 candidates, ie. double the number of remaining vacancies (53). Once the first round allocation is over from the main list, allocation will be done for remaining vacancies from the reserve list. The total number of seats for a general category candidate is only 414. Only 361 candidates among general category candidates are placed in the first rank list. The remaining vacancies will be filled after analyzing the service preference of candidates recommended for allocation in the first list. 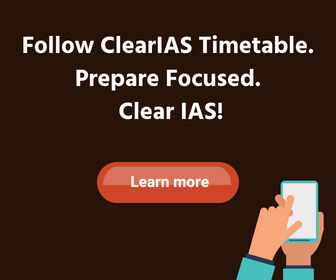 Details – rank, roll number and names of toppers of UPSC Civil Services Exam 2018-19 will be available in clearias.com as another post. The details are taken from the official UPSC website (upsc.gov.in).